The enriching blend of wild harvested seaweed in this vegetable soap is mild enough even for babies. Unfragranced and rich in minerals and amino acids, this vegetable soap is perfect for extra sensitive skin and even has a low pH to gentle cleanse and tone your skin, without drying it out. Wild harvested organic seaweed is said to have antioxidant properties, reupted to benefit skin. Suitable for Normal, Extra Sensitive & Baby skin types. 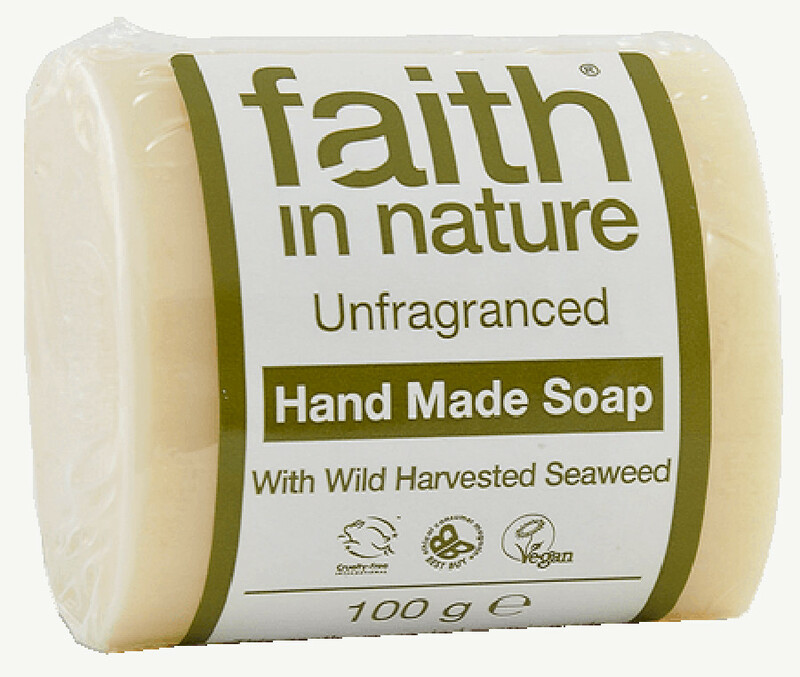 The Faith in Nature Soap - Fragrance Free - 100g product ethics are indicated below. To learn more about these product ethics and to see related products, follow the links below. Not used the soaps yet, but the fact that they are ethical is enough for me. 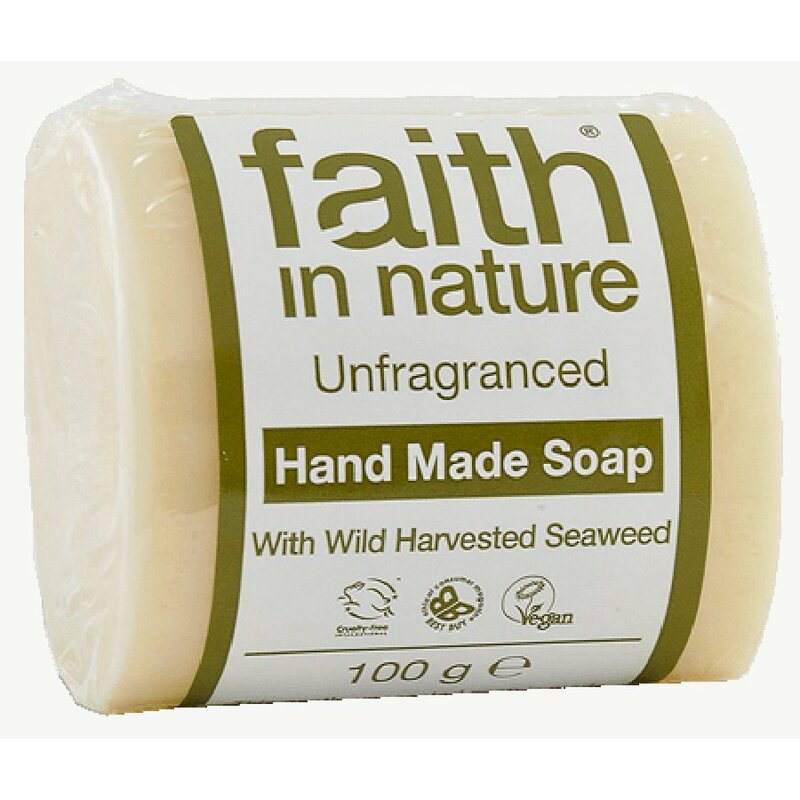 There are currently no questions to display about Faith in Nature Soap - Fragrance Free - 100g.